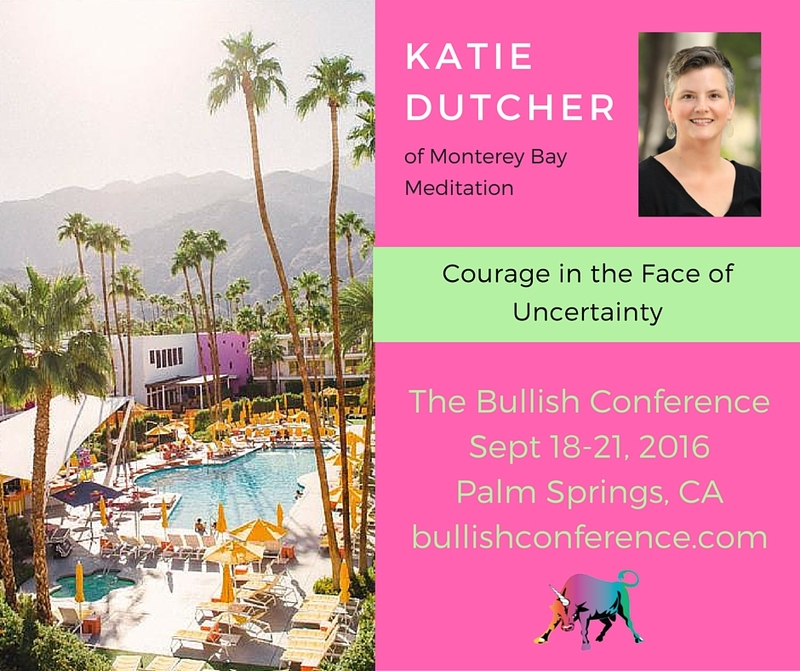 An interview with #BullCon16 workshop leader Katie Dutcher. Visit the Bullish Conference website here. Hi Katie! We’re looking forward to meeting and learning from you at #BullCon16 this September! First, can you tell us a little about yourself and what you do? I live in Monterey, California, and I teach mindfulness and meditation. For about 5 years, I was working a full-time administration job that was challenging, and not in ways that I relished, but I didn’t have the courage or know-how to get out of it. Then my dad died. This was horrible, AND grief made doing my job so impossible that I just had to quit it…so while I will never say that things happen for a reason or anything trite like that, there is some kind of beauty for me in the fact that my dad’s death helped push me to do what I had needed to do for a long time. So these days, I don’t have one big job but many smaller ones, and things are constantly evolving. There are two parts to my current career; one side is related to teaching and administration in the field of English as a Second Language, where the majority of my education and experience is. The other part of my career is what I’ll be bringing to BullCon, and this is where so much of my passion, motivation and grit comes from: teaching mindfulness and meditation. I teach mindfulness in schools (from elementary on up to graduate level), I teach Mindfulness-Based Stress Reduction at the community hospital, and the most exciting thing for me is that in January, I opened Monterey Bay Meditation Studio with a new friend and business partner! I offer regular drop-in meditations there, as well as courses on all kinds of topics like self-care, anxiety, courage, and other topics that affect well-being. I also write about these sorts of topics and coach individuals through my own venture, Flourish & Bloom. I’ve been learning about mindfulness for years, and in the past year and a half, I’ve gotten as much training, practice, and experience in this field as I can– enough to know that I’m good at it, and that I love it and believe in it. A surprisingly enjoyable new role for me has been creating and directing the social media presence and maintaining the website for the Studio. I love getting to use my creativity in this way and getting to develop my tech skills. What brings you to Bullish? My sister introduced me to getbullish.com about a year ago, I think because both of us struggle with assertiveness. I love the blog posts and Q&A– I find Jen’s writing so inspiring and somehow comforting. Her writing makes me feel that a few solid ideas, mixed with confidence and grit, are enough to get wonderful things happening in anyone’s life. I believe this and I love being reminded of it, so that’s what keeps me coming back to the site. When I heard about the conference, I was so intrigued and excited to be a part of it! Because I am relatively new to working freelance with multiple streams of income, I’m really looking forward to building a network of other strong and supportive ladies. In my work as an English teacher and administrator, professional organizations are big, so the idea of networking and professional development at a conference, as well as living it up gentlewoman-style at a hotel, are right up my alley. I first heard about mindfulness in 2009 during a challenging part of my life when I was literally googling “how to be happy.” I started meditating on my own, and through reading about mindfulness, I started some tiny practices of noticing throughout the day. For example, I would notice my husband’s smile, or I would walk to work with no music or phone and just look at all the plants on my way. I would notice the thoughts and emotions that I was having. Sometimes I would simply notice them; other times I’d get puzzled or curious by what was going on in my head and I would reflect, write, or observe even more about my thought processes. All of this sounds pretty simple, and it is– all it takes is the intention and choice to do it, to observe and reflect carefully in order to know myself better. What is hard to describe is the effect these little things had on me. I went from a fairly negative default mindset to having much more neutral and positive feelings– more awareness and happiness about my life. This led to an upward spiral where my relationships were better and I was just feeling better all the time. A disclaimer might be needed here: while I definitely feel that my mindset affects all kinds of things, from how productive I can be today to whether I feel like a victim or feel powerful…I am definitely NOT saying that “all we need to do is look on the bright side.” I still have stress, worry, anger– a real and normal human life. The difference for me is that I am always trying to learn more and more about myself, and about how to function effectively within these givens. So for me, there isn’t really any “woo” about it at all– I saw (and continue to see) my outlook, and thus my life, get WAY better because of both my formal practice (meditating and yoga) and my informal practice (being more aware of things all throughout the day). That’s enough for me to get on board, and it’s also what motivates me to teach other people about mindfulness and meditation– because it helps. For me, knowing myself comes from sitting quietly and from making the effort to notice what’s inside me and around me. The more I know about myself and how I operate, the better I will know how to take care of myself emotionally, physically, and mentally; and the more I take care of myself, the more I am at my best and ready to deal with other people and situations. So, you’ve been developing this workshop about uncertainty. That’s sort of an incredible topic for a workshop – what on earth do you cover when the topic itself is … not knowing what’s happening? How have people responded so far? I taught a course recently on uncertainty, and it was my most well-attended course to date, so I think the topic speaks to people. Uncertainty is a huge source of anxiety and fear, and it comes from many sources– trauma, careers, moving, relationships, experiencing illness and death– basically any part of our life can be marked by uncertainty at some point. Feeling this awfulness of uncertainty, not knowing what’s ahead, can make us behave in various unhelpful ways. Maybe we feel paralyzed and never make the decisions or start the initiatives that we could/should. Maybe we can’t stand the feeling of uncertainty, so we numb or distract ourselves in harmful ways. Maybe we make quick and dumb decisions just to do SOMETHING other than wondering. 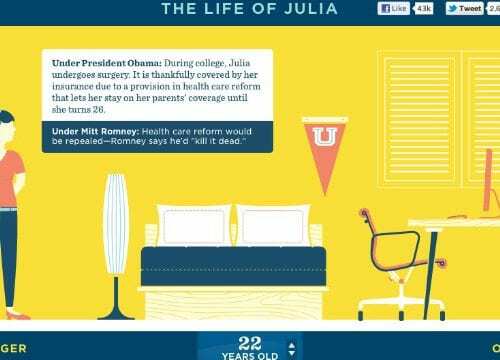 I’m guessing that all of this is sounding fairly familiar to most of your readers. So, part of the workshop is to simply uncover this fact– that we have uncertainty, it affects us, and it’s time to look at it instead of pretending it doesn’t exist because it’s scary. This can be such a relief! If we face it and acknowledge it, we can begin to see what we could do about it. We look, too, at the positive elements within uncertainty. For example, as a freelancer, much of my future income is uncertain. Yes, this is scary, and also…wow, the possibilities are endless! I’m free to hustle in all kinds of fun and new directions to figure this out. And actually, we NEED times of uncertainty. We need to move through this stage of discomfort in order to grow and get to new places that challenge us– to develop new abilities and branch out. So, I can’t eliminate the uncertainty, and maybe that’s actually for the best, because I can see it as a certain kind of gift, and I can grow. And finally, we talk about how to move forward in the midst of uncertainty. This is the heart of courage and tenacity. I’ve been reading and thinking a lot about courage lately, and it isn’t a no-fear mindset. We might have this idea that a courageous person is some kind of strong hero, but no. It’s that we do feel fear, but we just do stuff anyway. We might pause, we might consider things carefully, or wait until the right time, but we don’t let fear and uncertainty stop us. One of my favorite quotations this year (also introduced to me by my wonderful sister!) is by Rumi: “As you start to walk out on the way, the way appears.” So the idea is that we can move forward with the information that we have right now– make the best choice that we can. And then as a result of that choice, something new happens. Then we re-assess with this new information and move ahead a little more…and repeat. We don’t have to know the whole outcome or the whole 5-year plan before taking one step. I love talking about this stuff! 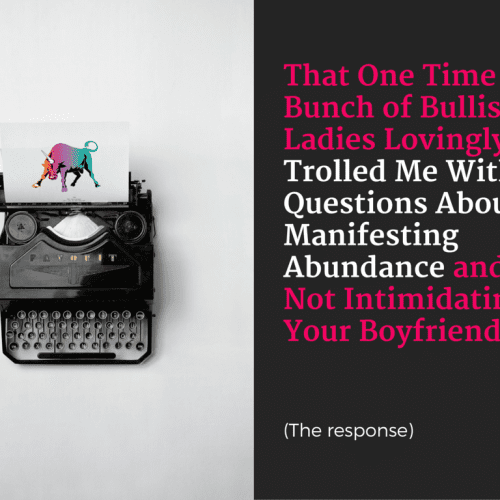 I’m excited to delve into these topics at BullCon, and I’m looking forward to meeting more of you Bullish women! #BullCon16: Sharon Beason on Multiple Income StreamsI Want to See a Gender-Swapped Version of Every Movie. Literally Every One.